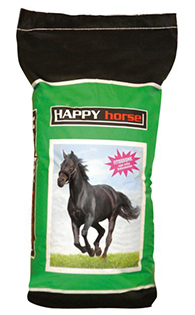 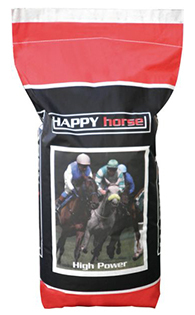 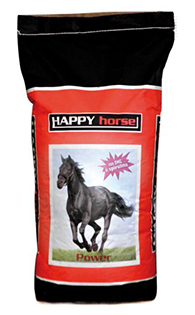 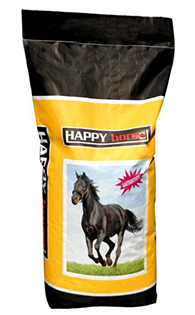 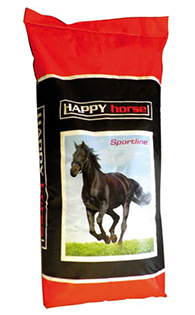 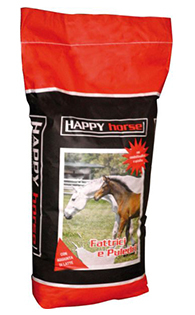 The HAPPY HORSE line is produced on a basis of carefully selected raw materials, subjected to a “steam cooking (130° C) and rolling” thermoforming process that raises the level of digestibility, thus allowing the horse the total assimilation of nutrients. 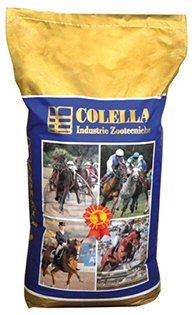 A blend of vitamins, minerals and trace elements specific to each sporting activity performed by the horse is added to this blend of first quality cereals. 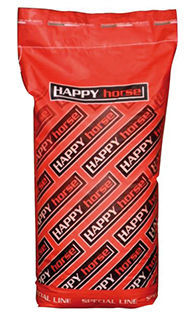 This new highly innovative system is designed in such a way that it does not have to give the horse any kind of further integration.